A pleasant hotel set right in the centre of Charlotte, between downtown and the Charlotte Douglas International airport, just off interstate 85 and within walking distance of the train station. 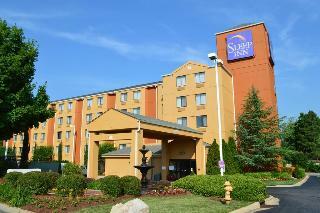 Staying here means visitors are minutes away from the Nascar Hall of Fame and the Time Warner Cable Area. Other places of interest in the area are the Duke Mansion, the Charlotte Convention Centre, the Bechtler Museum of Modern Art, the Billy Graham Library, the Bank of America Stadium and the Charlotte Trolley Powerhouse Museum. There are plenty of restaurants and shopping areas nearby. The hotel offers free coffee, free local calls and access to copy and fax services and free parking. All the rooms are air-conditioned and offer cable television and high speed internet access. The hotel allows pets and is perfect for those travelling either for business or leisure. 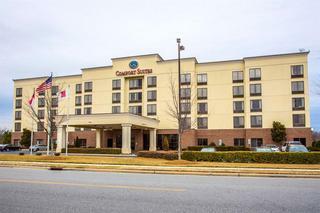 Conveniently located just off Interstate 77 and 85 and just a short drive away the Charlotte-Douglas International Airport, this suite hotel is the perfect choice for travellers seeking luxury accommodation at an affordable price. Nearby attractions include the University of North Carolina and Latta Plantation. It is also within easy reach of the city's many business parks and corporate headquarters. There are also several excellent restaurants, shops and cocktail lounges nearby. The comfortable, well-appointed suites all feature multipurpose recharge stations, microwaves, refrigerators, coffee makers, hair dryers, irons with boards, queen-size sofa sleepers and cable television. Additional amenities include free Wi-Fi, a delicious free, hot breakfast, free newspaper and coffee, and on-site business centre with access to fax services as well as a seasonal outdoor pool and fitness centre. This Charlotte hotel is located just 1.6 km from the University of North Carolina, and not far from area attractions such as Lowe's Motor Speedway, Verizon Wireless Amphitheatre and Bank of America Stadium. The Charlotte Convention Centre is 11 km and the Charlotte-Douglas International Airport is 24 km away. Additional places of interest include the Charlotte Coliseum, Concord Mills and Discovery Place. Several shops and a variety of restaurants are also located in the surrounding area. In addition to a number of in-house amenities, all guestrooms offer modern conveniences, such as coffee makers and cable television with free Showtime. 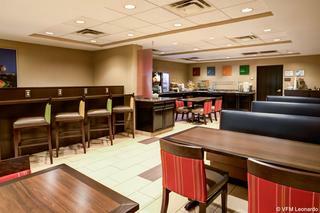 Wheelchair accessible and non-smoking rooms are provided upon request, and pets are also welcomed in the establishment. This family-friendly business hotel sits at just under a 10-minute drive from Downtown Charlotte and some 20 km from Paramount Carowinds. Its location guarantees easy access to the area's attractions including Ericson Stadium, the Charlotte Convention Centre and Lowe's Motor Speedway. There are also several restaurants within a short drive or a brisk stroll. Built in 2010, the charming hotel offers convenience, comfort and modern amenities. Guests can watch a movie at the TV lounge or stay on top of their workload thanks to the hotel-wide WiFi Internet access. 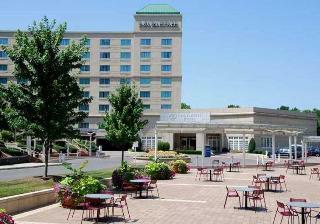 Those who are looking for place where to host their next event should check the onsite conference facilities. 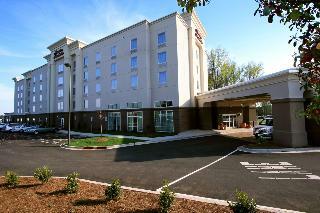 This attractive hotel is just a short distance from the airport, and is in the centre of Charlotte. Apart from all the malls, shops and restaurants found in a bustling metropolis, minutes away are such places as the Billy Graham Library, the Mint Museum, the Discovery Place Science Centre and the Charlotte Convention Centre. For families the Carowinds Amusement Park, Lake Norman and Catawba River all in the vicinity, and are sure to provide good fun for all. The hotel offers a free airport shuttle service, outdoor parking, an indoor heated pool, a fitness centre and a free hot breakfast. All the suites are smoke free. They have A/C, cable and satellite TV, high speed Internet, coffee machine, recharge device for electronic devices including AC and USB. Some suites have fridges, microwaves and wet bars. One bedroom ones have a full kitchen. The hotel is also pet friendly. City centre - 12.875 Km. Golf course - 14.484 Km.